Welcome to this exquisite Branthaven 2 storey home backing on to Premium Private Lush Ravine on one of the most sought after streets in Burlington. 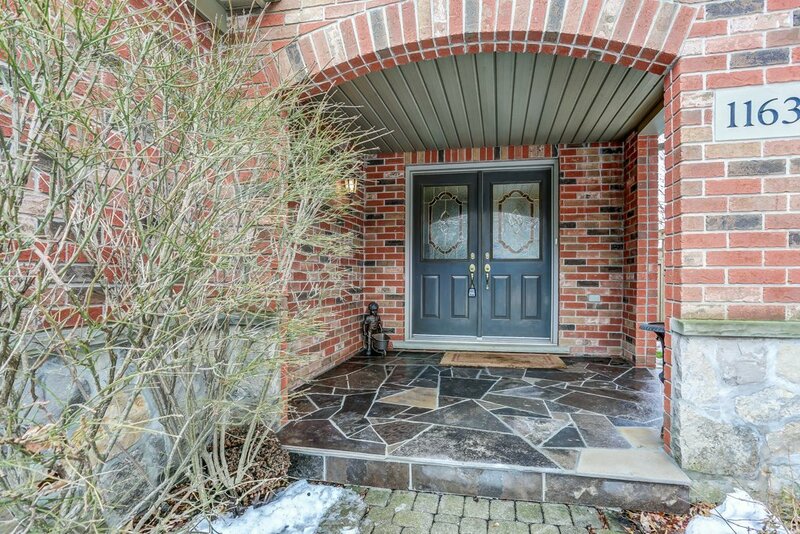 Flagstone entryway leads to this impressive 2 storey foyer. This show stopper is an entertainers dream! This home is flooded with natural light. Main flr family rm and kitchen has been professionally redesigned to provide Open Concept living. CHEF'S DREAM KITCHEN with huge Island featuring S/S Appliances including Wolf Exhaust w/Warming Lights, Gas 5 Burner Range w/Warming Drawer, tons of Pot Lights, Bar Sink, Leather Granite Counters, Loads of Self Closing Cabinets & Pull Outs. Relax in your beautiful family room with gas fireplace overlooking your park-like rear gardens. Walk out to your Private deck with power awning, slotted privacy screen, Gas BBQ Line. Professionally Landscaped Yard with Pond w/waterfall, mature trees, perennials, fencing on a tranquil lush setting backing onto ravine. Upper Level features 3 spacious bedrooms all with walk-in closets & organizers. Mstr Bed offers 4 piece newly updated ensuite with Glass enclosed shower. 4 piece floor bathroom with linen closet. Finished Basement offers bathroom (closet ready for shower) Rec room with gas fireplace, Work Room (can be converted to bedroom). Immaculate home; NO CARPET! Furnace, A/C (2017) Roof (2011) Extensive shopping, amenities and highway access are just minutes away. Want to learn more about 1163 Westhaven Drive (NORTH SERVICE-KERNS-FORESTVALE-WESTHAVEN)? I would like to learn more about 1163 Westhaven Drive (NORTH SERVICE-KERNS-FORESTVALE-WESTHAVEN).